I bought this product with whatever money I had left after the kids had been fed, clothed and sheltered. The opinions expressed in the post are my own. 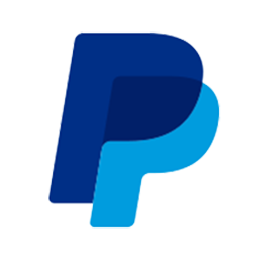 *There are affiliate links in this post which will earn us a small commission if purchase these shoes. Back in the summer I was in the market for some new trail shoes. I like to hike in trail runners rather than a heavier boot, especially in the summer, and while some of our American hiker friends don’t bother buying “waterproof” shoes, I’ve always looked for something that will keep the water out. To be honest, when you have size 13 feet, the choice of shoe in my budget is rather limited, there’s plenty of choice in the budget range and a bit more in the high end but little around the £60 – £100 mark which for me is a real investment. I ended up with a choice between 2 well known brands but I’ve had well known brands let me down plenty of times in the past. 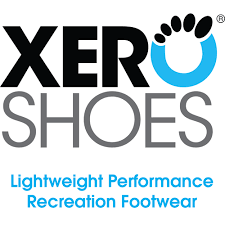 A couple of days later I stumbled upon a Facebook post from Xero Shoes which pricked my interest. 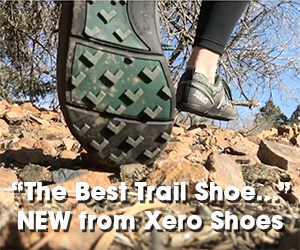 Barefoot/Minimalist trail runners might work for a hiking shoe. But they’re over in the states and won’t have my size. Not only did they have a UK online store but they also carried my size, and in my budget. I made a decision. If I’m risking £80 of my hard earned cash on shoes, I’d rather give it to this smaller company thats doing things a little different than another global behemoth. Two days after ordering they were on my feet. First impressions were great, really comfy, good fit and looked great. Having read a little about going to minimalist footwear I knew I shouldn’t go out and hike around the Isle of Wight first time. So I started with a few shorter hikes, an overnight hiking trip with my daughter and other than a little extra soreness in my calfs, they were really good and coped with the lowland, Isle of Wight terrain. Time for a test. We hiked a 20 odd mile loop in the Brecon Beacons including a climb up Pen y Fan and again they performed really, really well. And when the rain came and my feet got wet, they dried out in no time. Another benefit, which may be from the shoes or could be from some weight loss was a lack of the usual knee pain I suffer from while coming down a mountain. I’m no scientist but something was improved. Over the rest of the summer they have become my shoe of choice for everything except work and so when we decided on our last big trip of the year, I was always going to wear them for hiking around this little island. So how did these shoes cope on a 78 mile hike on mixed terrain at the end of October. Overall they were great and any downsides can be placed on the trail itself. At the end of the first day, the soles of my feet were in agony but they had just hiked 17 miles on tarmac and my wife’s feet were just as sore in here well padded boots. A little calf soreness the next day which went away after the first mile or so and the shoes felt great on every terrain except tarmac, which wasn’t a major issue again until the last day. The soles of my feet were sore for the day after finishing but by the second morning they were fine, and there was never the thought of blisters on the whole hike. I’m glad I took the risk with these shoes and while they may take some getting used to if moving from traditional hiking boots, I’ll definitely be continuing my foray into barefoot hiking. I may try out the Daylite Hiker next season, they look really cool but only have womens sizes on the UK store at the moment. Now If only they’d do a minimalist work boot! Next Next post: Children! Know Your Limits.